March 1, 2015 April 8, 2015 Asia C.
Today happens to be National Peanut Butter Lover’s Day. Although, admittedly, I’m definitely not the biggest peanut butter lover out there, I do really appreciate a good peanut butter sandwich every now and then. It’s hard to pick favorites between the ultimate classic combo of PB&J and the slightly less traditional (but just as amazing) pairing of peanut butter and Nutella. I’m really bad at making decisions, especially when they’re food-related, so I typically avoid them at all costs. In this case, that meant that today I chose both PB&J and PB&N to appease my inner peanut butter lover. I know that peanut butter sandwiches are relatively self-explanatory, but there are a few small things that really make them that much better. Fun fact about me: I’m a little OCD when it comes to sandwich spreading. I’m a firm supporter of the end-to-end/no bread left unspread policy. Despite the fact that friends and family alike have made fun of me for my tendency to spend an excessive amount of time ensuring that all of my bases are entirely covered, I stand by my actions wholeheartedly because every bite of a sandwich deserves an equal amount of love in the form of filling. This is especially applicable when it comes to peanut butter. The next step in making the ultimate peanut butter sandwich is the most vital. It involves a waffle iron. 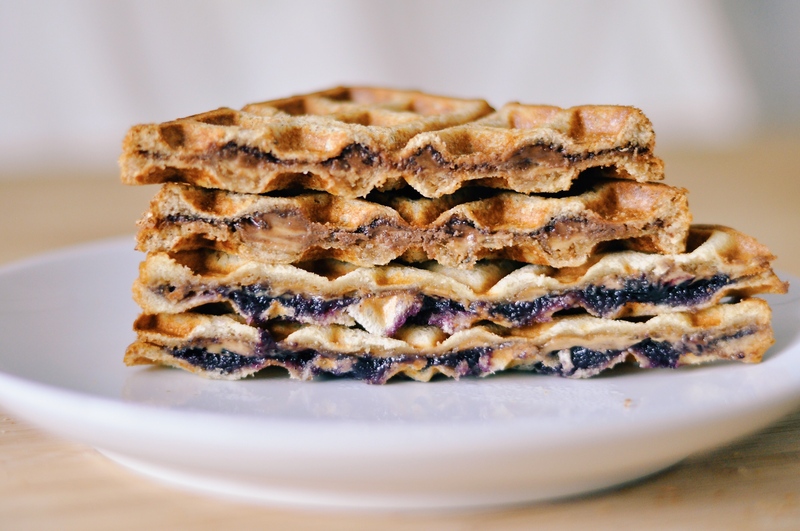 Pressing your peanut butter sandwich in a hot waffle iron essentially turns it into a peanut butter panini. But better. 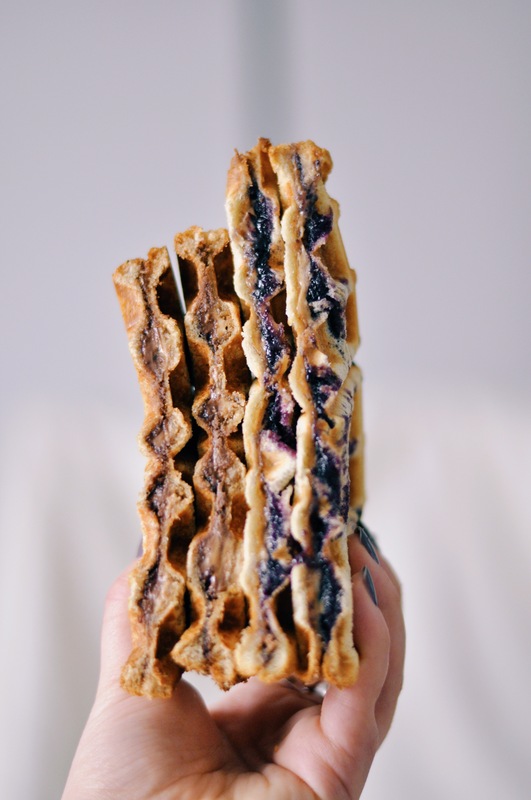 The sandwich comes out of the iron looking like a waffle, and has a super crispy exterior and perfectly gooey interior. It seems as though I’ve fallen victim to the waffling trend, and now there’s no turning back.